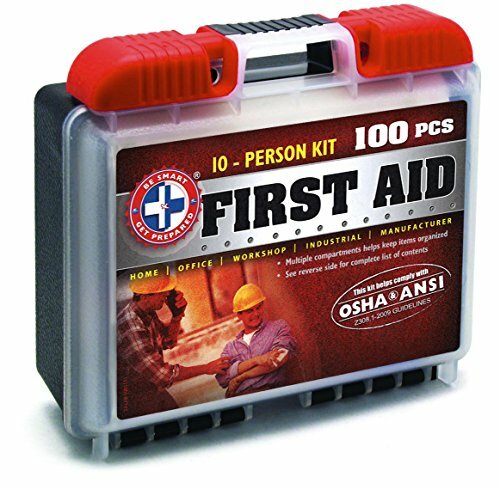 This Deluxe 100 piece First Aid Kit first aid kit from Total Resources is a necessity for the workplace and meets or exceeds all OSHA / ANSI 2009 types I and II requirements for small business. It is in a hard carrying case designed with a multi-compartment organizer. It can be carried around for portability or mounted on a wall in a central location. Supplies up to 10 people and is packed in a compact plastic case for easy storage and use.